Introducing keyboarding to our youngest typists is important to develop proper keyboarding skills early and now, in response to many requests from our teachers, we are excited to introduce Typing Agent’s new K2 and K2+ Offline Activities! 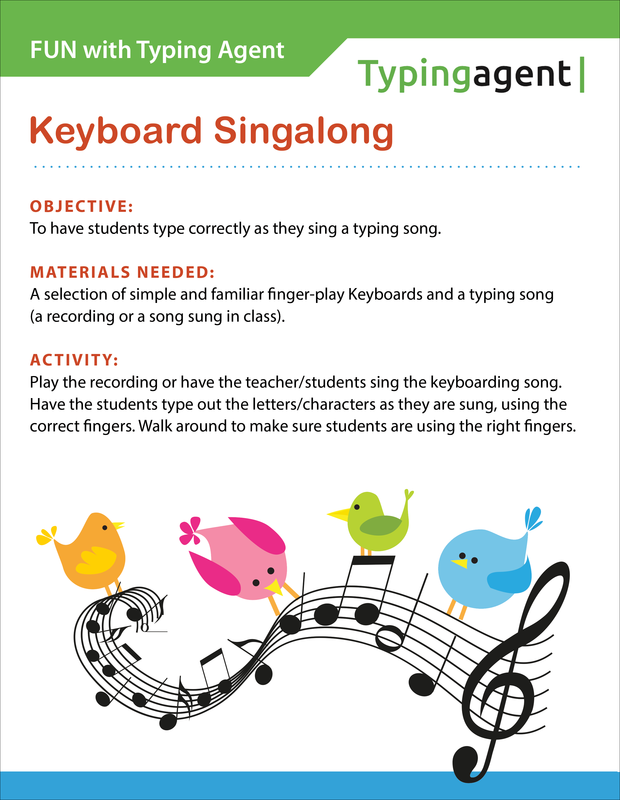 Get ready for your students to sing, play games, color, paint, glue and have even more fun learning to type! Check out all of our “Fun with Typing Agent” Offline Activities here in our Solution Center. We have broken them up into two categories: K2 (most suitable for K2 students) and K2 + (suitable for K2 and older students). CMO and Partner at Typing Agent. Charmaine helped turn this Seattle area startup into one of the most successful and tech relevant online Keyboarding SAAS companies. Passionate about really listening to her customers and keeping the product ahead of the technology curve.